Each year, BWIM NC recognizes the contributions of individuals and churches to the cause of women in ministry with two awards. Determined by the Leadership Board, the awards are The Anne Thomas Neil Award and The Church Award. The Church Award is given to congregations who are exemplary in supporting and encouraging the cause of women in ministry. 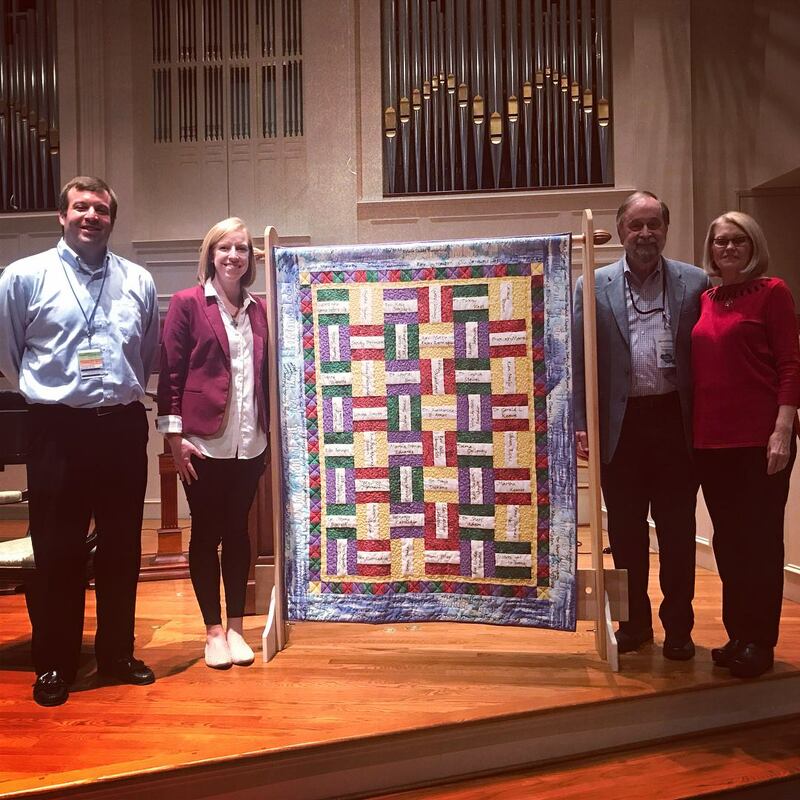 The symbol of The Church Award is the “Cloud of Witnesses” quilt that was created in 2008 in celebration of the 25th anniversary of BWIM NC. The symbolism of a quilt actually reminds us of interdependence with one another. The names, embroidered by hand on the BWIM NC quilt, record the teachers, parents, grandparents, children, professors, neighbors, mission leaders, friends, and mentors whom God has used to help shape and guide the people of BWIM NC. The recipient of the Church Award has the honor of keeping and displaying the quilt for a full year. With their exemplary leadership of support and encouragement for Baptist Women in Ministry in the prayerful calling of Chrissy Williamson as senior pastor, Greystone Baptist Church in Raleigh is the recipient of The Church Award for 2019. Greystone Baptist Raleigh is a vibrant, intergenerational faith community where all are welcomed. At Greystone, every member is a minister and is encouraged to bring their gifts and abilities to the life of the church and the service of God’s Kingdom.